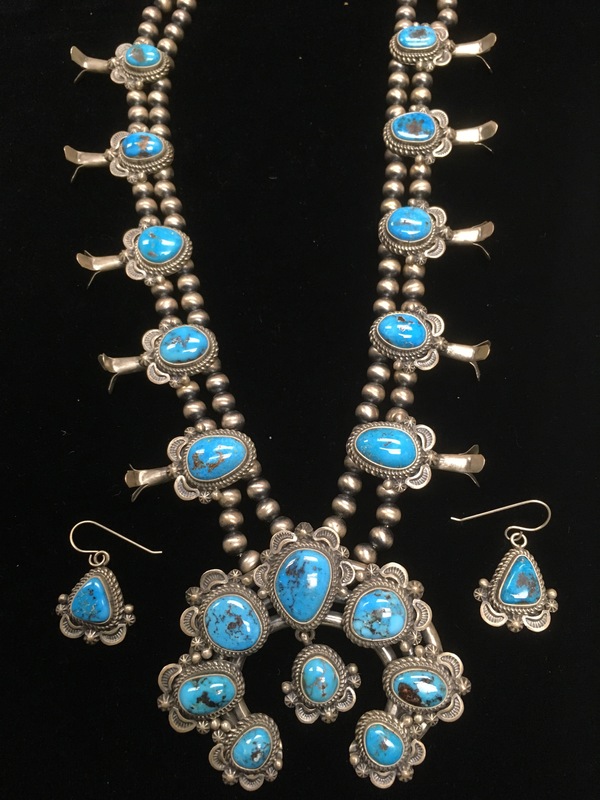 Navajo Native American silversmith Emma Mae Linkin has created a breathtaking squash blossom in the classic style we all know and love. 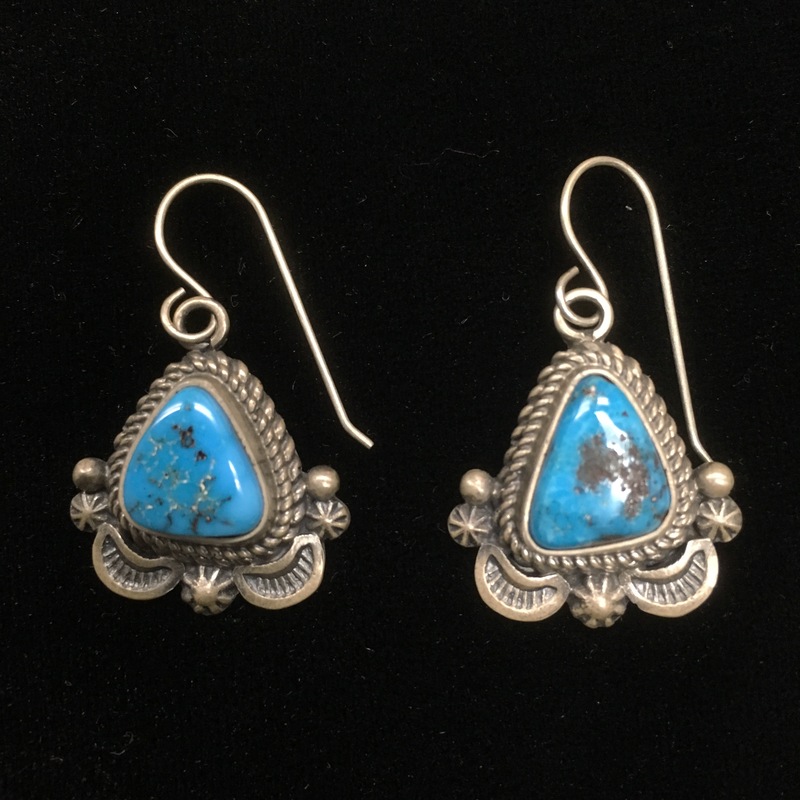 Bright blue Turquoise is accented by precise Sterling Silver stamp work. This squash blossom comes with matching earrings making it the perfect gift! 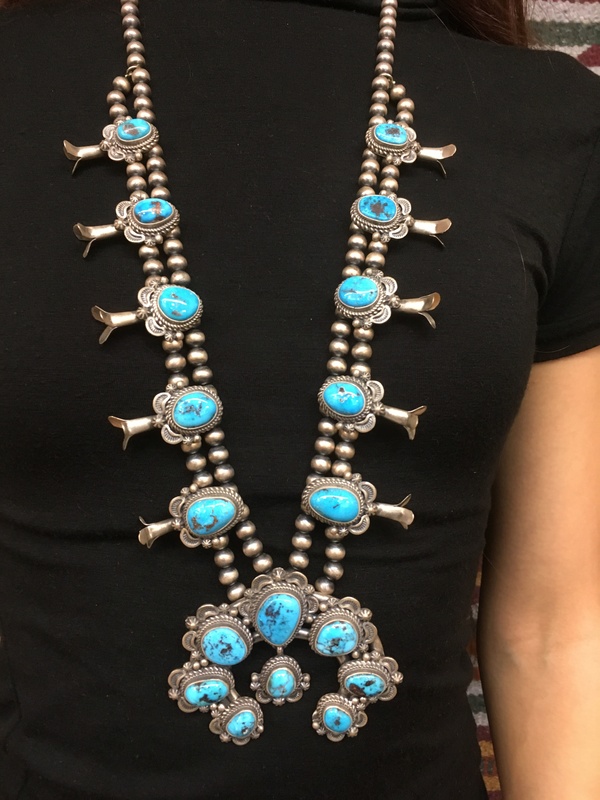 Navajo Emma Mae Linkin Turquoise Squash Blossom showcases gorgeous Turquoise and impressive Sterling Silver stamp work from Native American Emma Mae Linkin.